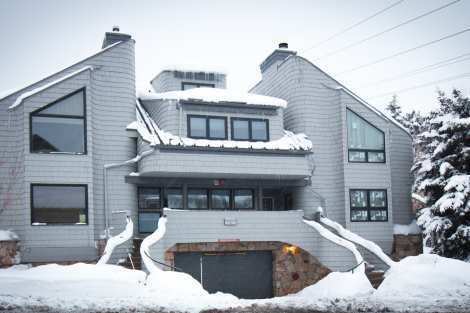 Mountain contemporary with a touch of Southwestern welcomes you to this unique and ideally located condo. Only steps away from Park City Mountain Resort’s Town Lift and Main Street, all of Park City is at your doorstep. Walk to nightlife, galleries, shopping and dining. Enjoy access to the slopes just a short walk away, or grab the free shuttle and be whisked off to either Deer Valley or Canyons. Spacious yet cozy, a wood burning fireplace offers the ambiance of a mountain lodge. A common area hot tub is perfect for relaxing and making new friends and an underground parking garage ensures no frosty windows should you bring a vehicle. Three bedrooms sleep up to nine guests making this the perfect spot for a multi-family getaway or small group. Yes. Everything was in order and as to be expected for our unit. We did receive a text message about 1/2 price dinner offer at Prime at Lespri, but it came later in our stay and I felt like it should have come upon arrival. Having said that, we did take advantage of the offer. You guys are the best! I highly recommend Lespri! Ivan was so helpful and nice. We really enjoyed our stay in PC. The location of this unit was exactly what we expected and the primary reason for booking the unit. While the unit itself was very clean we didn't feel so good about the pillows/blankets and while I'm sure the carpet was clean it really needs replaced it felt very old. The dryer needs some attention it makes a load noise when running. Otherwise, the unit layout and everything else - furniture, proximity to hot tub, town lift, number of places to sit, fireplace etc. were great. I would stay here again. Location, Location, Location on this condo! We loved being so close to the old city and yet it was very quiet on our side of the condo! The cleanliness--bathrooms and carpet were not in great shape, but OK. We did like the upstairs layout. The safe needs new batteries and a number of lamps need bulbs. All in all, a great place to stay with a 3 16yo boys! Excellent location, and very spacious condo. My main complaint is that the sheets did not fit the mattresses in a couple of rooms! I need to admit that I did not call in with this complaint, as we were super busy skiing, so I don't know if it would have been rectified. Also, while the unit was clean, there were a few things that could have been cleaner (old newspapers from the summer were still on the coffee table?). The one time we did call for service, the manager responded very promptly and was very nice and accommodating. Overall, we had an excellent week!